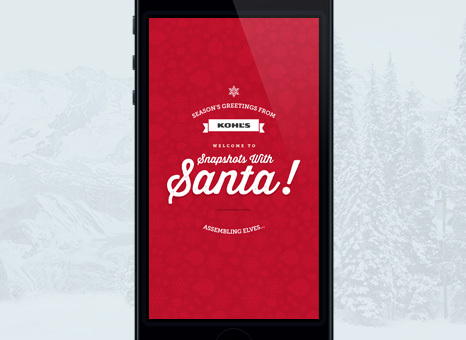 Snapshots With Santa, a mobile app for iOS and Android, gives Kohl’s shoppers the chance to create and send custom Christmas cards. 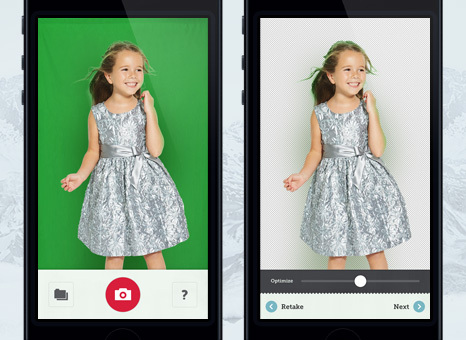 First, Kohl’s customers take a photo in front of a green screen at any Kohl’s location. Our developers perfected the green screen technology and made it easy for users to edit the masking around each photo for a seamless effect. 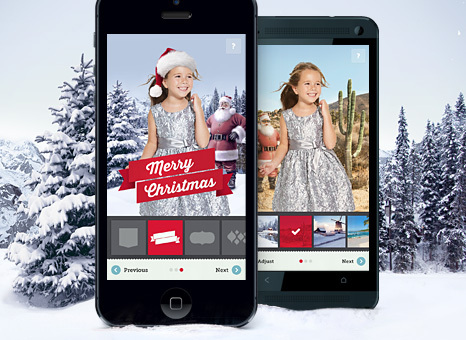 Users then build the card by choosing from a series of festive backgrounds, stickers and holiday greetings. When completed, cards spread holiday cheer across Facebook, Twitter, Instagram and Email or in person through Shutterfly. We also created a short motion graphics video that takes users through the card creation process. The video was featured on Kohls.com and shared across their social networks. It’s beginning to look a lot like Christmas.